Get Your Half Price Fish and Chips! When it comes to fish and chips, we strongly believe that nothing tops the great taste of crispy golden batter, thick flakes of fish and fluffy, chunky chips – well, apart from half price fish and chips that is. As of Friday 22nd April, we’re now offering half price fish and chips everyday between 5pm and 8pm – at both of our shops. That means you’ll be able to treat you and your family to any large or medium cod/haddock with chips for less than ever before! On top of that, we don’t have an end date for this offer, meaning you’ll have more than enough chances to dig into half price fish and chips. Feeling peckish? 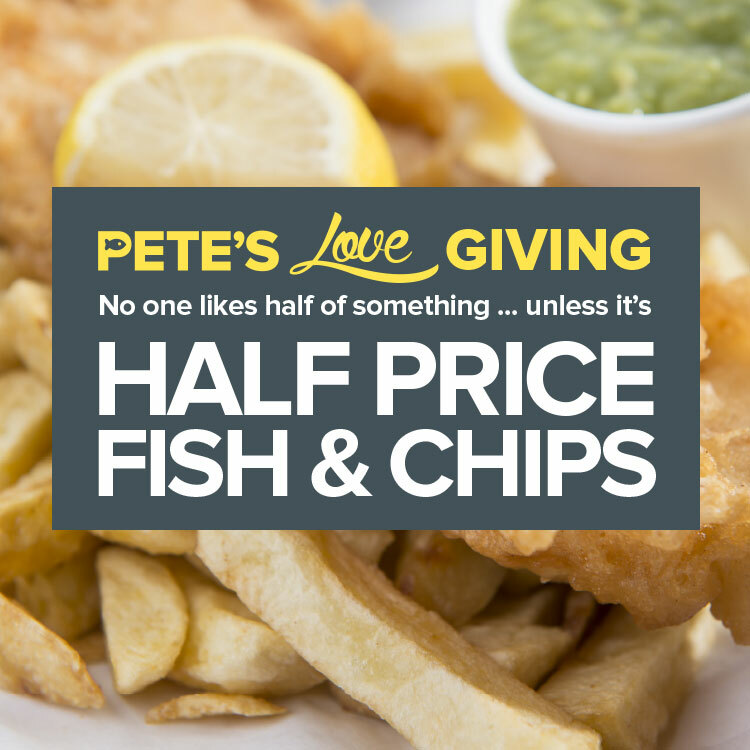 Well what are you waiting, come on down to your nearest Pete’s tonight for your own mouthwatering half price meal.